Can you make home & housing economics “great fun”? 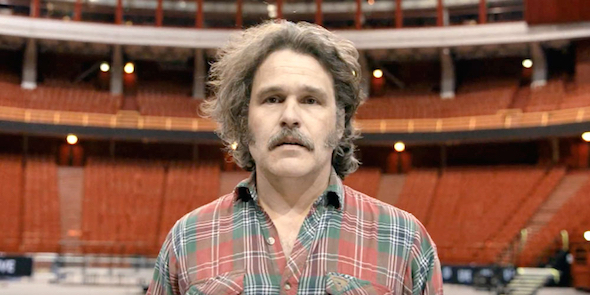 Let’s ask famous Swedish comedy star Erik Haag to try to answers this question… That’s the original central idea in a creative campaign, concocted by Swedish bank SBAB and Emakina’s Agency Doe Blomberg Gottberg. A vast majority of Swedes are convinced private housing finance is an important matter. But only four percent consider the whole private economy issue of buying a home as ‘great fun’, while 69 percent think it is ‘totally boring’. These data from a SIFO poll commissioned by SBAB are at the heart of a new campaign created by Emakina’s Swedish creative agency Doe Blomberg Gottberg. To reverse this negative trend, they called on star comedian and TV host Erik Haag to take center stage in their new communication campaign. In team with the bank, Erik Haag will stage a comedy show at the Globe Arena in November 2017, on the theme “Home and Housing Economics, it’s great fun!” Until then, the audience will be able to follow the journey to the live performance every step of the way, in a series of webisodes on sbab.se. They will discover the whole process, from casting and script writing to the practical show preparations, right up to the opening performance. The project is vast: the ball shaped venue in Stockholm has a seating capacity of approximately 13,852 spectators and has previously welcomed stars like Katy Perry, Lady Gaga, Bruno Mars and U2. Seriously funny Erik Haag says: ‘Making home and housing economy fun is a very difficult challenge. To actually fill the Globe and entertain the audience with a really funny show on this theme considered by many as ‘super boring’ seems quite impossible, verging on the ridiculous. So of course, it seemed like a fun idea, from the very first moment I heard about it. But right now, it feels like my life’s greatest challenge. Luckily, I have a few friends who I think it’s funny as well, so I’ll probably start calling around and ask them for help’. Each new webisode of the series “Journey to the show” will be supported by 15 second trailers broadcasted on TV4, with the support of a series of influencers, an online video campaign, social media and PR support. The agency behind the concept is Doe Blomberg Gottberg, Emakina’s team that joined the group in January. For this project, it teams up with PR firm Abby Priest and media agency IUM. Doe Blomberg Gottberg CEO Fredrik Blomberg is enthusiastic about the campaign: ‘It’s very inspiring to work with such a courageous client as SBAB. They really shows that they are a different kind of bank. This concept offers us many layers and directions to develop. SBAB, Erik Haag and our agency will have to be flexible and agile throughout the year and we will constantly be open to new ways of developing the campaign. We are a close and well integrated team. We’ve worked together successfully in the past on similar content-driven projects, and each time we had great fun in our collaboration. To pull this off, It’s important to have a strong bond and work together really fluently in the creative process. We all have to be open minded to reconsider plans if the conditions suddenly change, and that will definitely happen during this great journey we have now started.